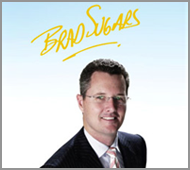 Spend an evening with the World’s #1 Business Coach Brad Sugars and learn business strategies.. Guideline to price for services. You are probably wondering why you need to hire a professional photographer to take pictures of your headshots, products, or services instead of using your own camera and taking the pictures yourself. Let’s start by explaining what a local directory is and what types of services they can provide. A local directory is a company that works like the traditional Yellow Pages. The website or service offers you a directory of all of the local businesses that a potential client is interested in receiving products or services from. We are proud to announce that Media One Pro was awarded 2012 Best Green Employer by the Review Journal and Business Press on 7/20/2012.